Do your children have breathing problems, like asthma? Is someone in your home allergic to mold? Is there lead anywhere in your home? Do you use bug spray or other products to keep away pest? Do you keep poisons where your children cannot reach them? 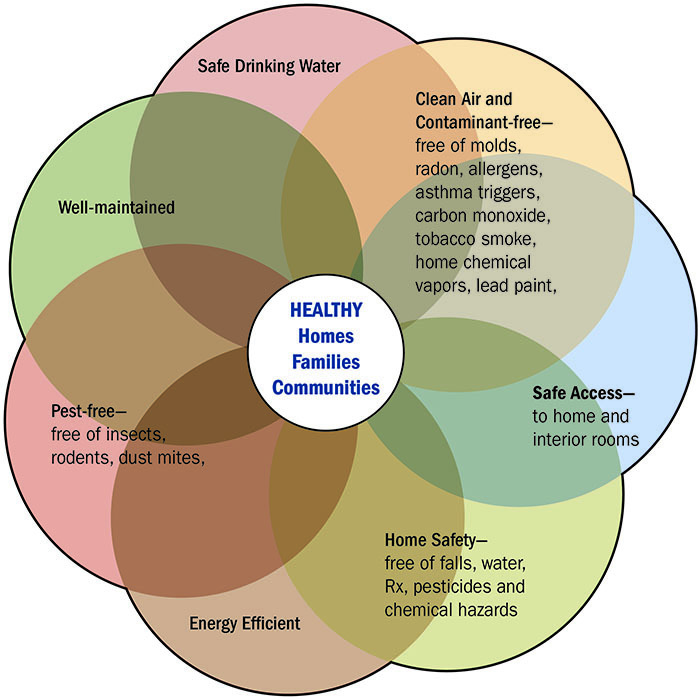 Households across America may have hidden hazards that can impact the health of all occupants. Home health hazards include asthma triggers such as mold, lead-based paint, radon, pests, injury dangers and poor indoor air quality. Anyone can suffer from housing-related illnesses and injury; however certain groups such as children, the elderly, low-income or individuals with chronic illness are more at risk. This website introduces some of these concerns and provides resources to help you learn what you can do about them. While many of home hazards are simple to detect and inexpensive to correct, some are more challenging to deal with. Assessing and fixing these deficiencies simultaneously, rather than attempting to tackle each hazard individually, will yield the greatest results in the most efficient, cost-effective manner. The example, dealing with uncontrolled moisture, can alleviate conditions associated with allergies and asthma (molds and pests), unintentional injury (structural safety), and poisoning (lead paint deterioration). A special thanks to University of Wisconsin and Auburn who have contributed and hosted this program in the past.